Stem cell transplants given to amyotrophic lateral sclerosis (ALS) patients were safe and feasible whether infused intravenously or via the spinal cord, data from two small Phase 1 trials from Iran show. However, the treatment was not seen to slow disease worsening in efficacy measures studied as secondary trial goals (the primary ones being safety measures). The study, “Safety, Feasibility of Intravenous and Intrathecal Injection of Autologous Bone Marrow Derived Mesenchymal Stromal Cells in Patients with Amyotrophic Lateral Sclerosis: An Open Label Phase I Clinical Trial,” appeared in the Cell Journal. Stem cell transplants are increasingly being explored as a therapeutic option for ALS, and a few are showing promising signs of safety and efficacy and are likely to move into more advanced studies. In particular, mesenchymal stromal cells (MSCs) have diverse potential benefits in ALS, including the release of molecules called neurotrophic factors, increased production of anti-inflammatory molecules, and in replacing cells to the disease. Research in a mouse model of ALS demonstrated that transplanting MSCs restored motor neurons – cells that control muscle contraction – extended the animals’ life span, and improved their motor function. However, the optimal route to administer stem cells has yet to be determined in ALS patients. Aiming to address this gap, researchers conducted two open-label Phase 1 trials (NCT01759797 and NCT01771640) comparing the safety of IV and spinal canal-delivered (intrathecal route) MSCs derived from the bone marrow in patients with ALS. They also compared, as secondary measures, each route’s ability to slow or affect disease progression. MSC transplantation was autologous, meaning that cells were collected from the patient, grown and prepared in the lab, and later returned to the same patient. Both studies were conducted at the Royan Institute in Tehran. A total of 14 adult patients (ages 24-60 years, nine men) were enrolled, six undergoing IV injection and eight given cells administered through the spinal canal (intrathecal injection). 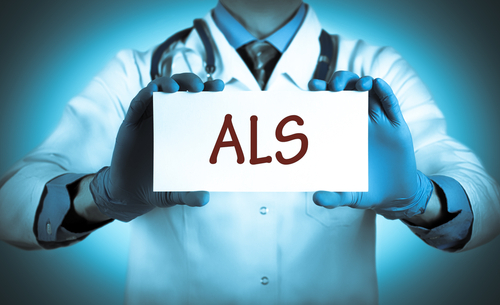 Patients had sporadic ALS and were diagnosed between six months and two years before the study’s start. All were being treated with 100 mg Rilutek (riluzole, by Sanofi) twice a day. Secondary goal assessments of functional activity – using the ALS functional rating scale (ALS-FRS) – and pulmonary function (measured by forced vital capacity, FVC) were made before the therapy and again at two, four, six, and 12 months after MSC administration. Biochemical parameters of liver, kidney and thyroid function, as well as blood, urine and viral infection analyses were also made. Brain and spinal cord magnetic resonance imaging (MRI) scans were performed one week before and 12 months after transplant. One patient in each group died during follow-up: a 50-year-old in the IV infusion group and a 39-year-old in the spinal infusion group. Both had limb onset ALS, and required post-transplant feeding tube placement (percutaneous endoscopic gastrostomy), and a tracheostomy for respiratory difficulties. Hypotension (abnormally low blood pressure) was observed in one patient immediately upon IV administration, and successfully treated with an infusion of sodium chloride. Two patients reported headaches and nausea over 24 hours after spinal canal administration, which the scientists attributed to the spinal tap. Hydration and nonsteroidal anti-inflammatory treatments resolved these problems. No major adverse events were found and no unexpected findings were seen in the MRI scans in the 12 months after the MSC transplants. But other patients showed evidence of disease worsening, with lower ALS-FRS and FVC scores throughout follow-up. One spinal infusion patient had unchanged ALS-FRS and FVC scores after stem cell therapy. Researchers said they could not determine if the stability seen over the 12 months was due to treatment. “This study has shown that IV and [spinal canal] transplantation of BM-derived stromal cells is safe and feasible,” they wrote, adding they now plan to test stem cells obtained from healthy donors. “To show the therapeutic effect of these approaches, we should perform additional clinical trials with more patients,” the research team concluded.